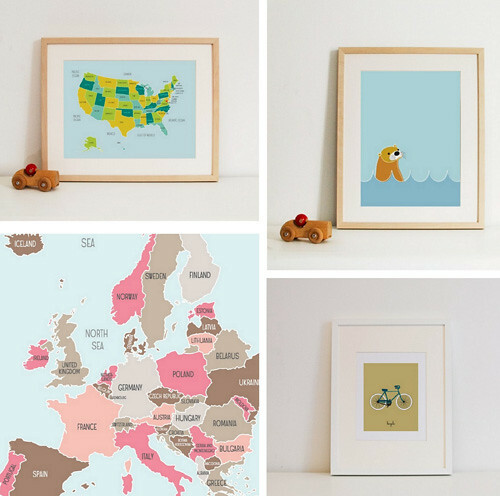 Hello friends, it's Tuesday and time for my Etsy picks for the week. Yesterday, I had a phone interview with Good Housekeeping since they wanted to talk to me about my upcoming book and were curious as to how I find so many good shops on Etsy for this column each week (honored!). I was very flattered that the writer follows this column and knowing that inspired me to keep it going for 2011 as I toyed with the idea of discontinuing it. You can look for me in the May issue of Good Housekeeping, where I'll share some of my favorite Etsy shops and others online that specialize in vintage finds for the home. Now onto my picks for the week. 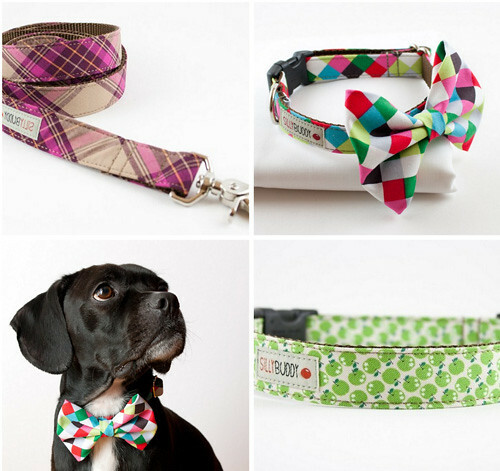 I hope that you like them! 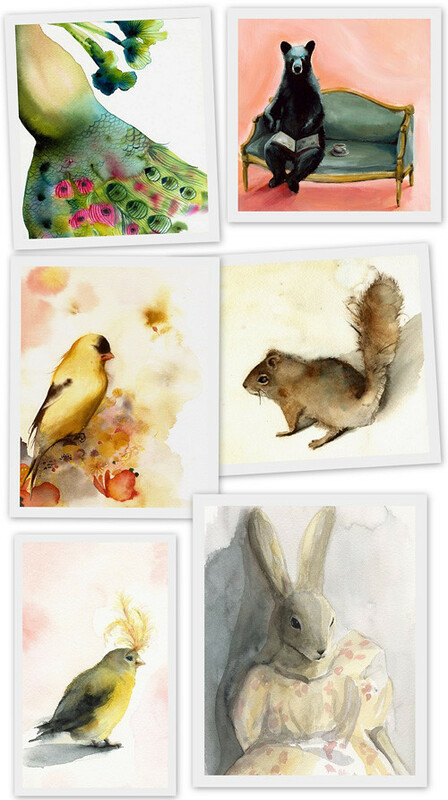 The beautiful watercolor prints by Amber Alexander in Vermont feature whimsical animals that will no doubt captivate you. 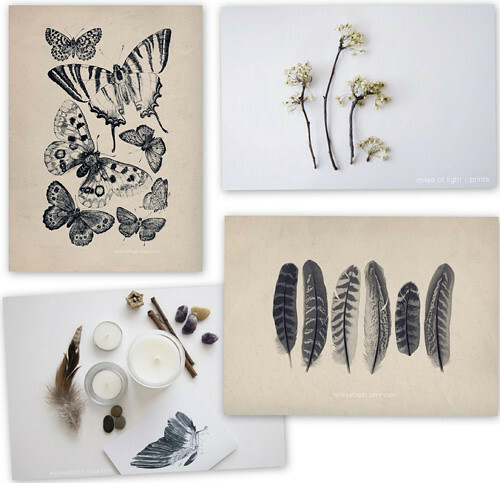 Miles of Light nature prints and cards are completely captivating. I imagine them looking so lovely in a variety of rooms, they really touch my heart! 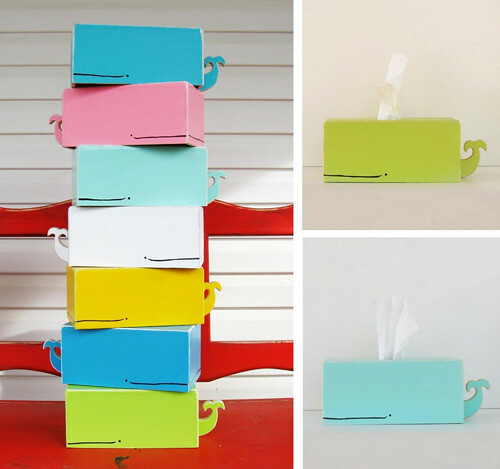 Have a whale of a time with these tissue holders from Gnome Sweeet Gnome. English Muffin Shop has the sweetest art for kid's and the young at heart in her shop, which is based out of Montreal, Canada. Love her pretty world maps the most!